Tatsu, my favorite coaster at Six Flags! 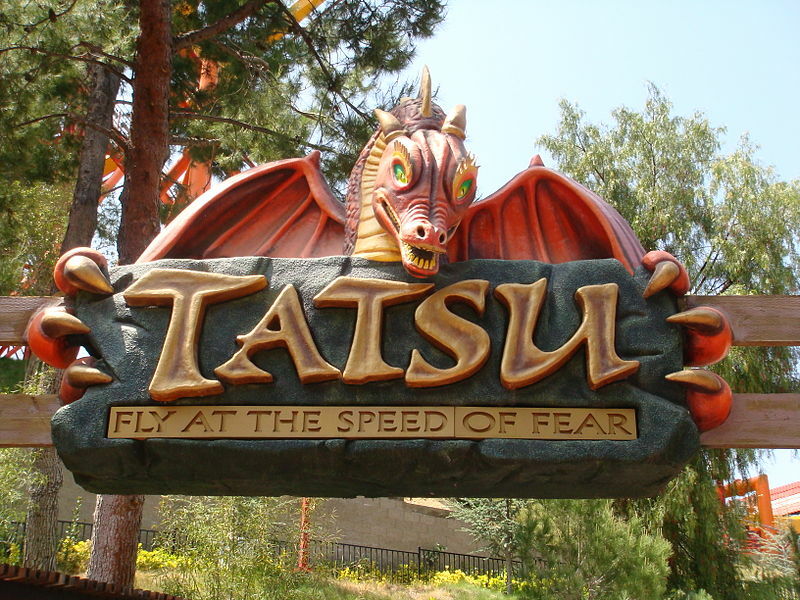 As you can see from the picture of the entrance, Tatsu’s slogan is “fly at the speed of fear”. The slogan is perfect for the nature of the ride, because it really does feel like your flying. The coaster’s name Tatsu is Japanese and translates to “dragon” in English. 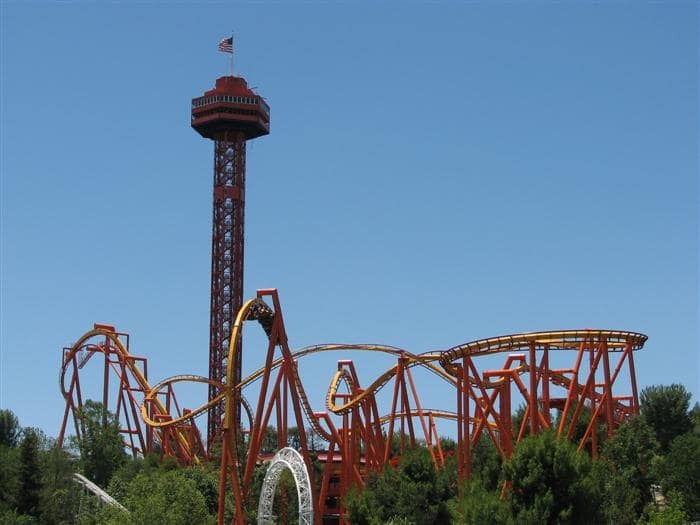 Tatsu claims to be the world’s longest, fastest, and tallest steel flying coaster in the world. Also it is the only flying coaster in the world with a zero-gravity roll and the highest pretzel loop at 124 feet. At the beginning of the ride from the station, the trains sit in a vertical position while riders board. Once all riders are seated with the restraints locked down the seats are rotated 90 degrees forward into a horizontal position, which puts the riders in a face down position. The ride then departs the station.